During E3, Kalypso Media announced it’s bringing popular tower sim Project Highrise to Nintendo Switch in Fall 2018. Project Highrise will be released under the title Project Highrise: Architect’s Edition. The Architect’s Edition comes with the base game along with the Las Vegas DLC and other content packs. Check out more details and the game’s trailer below. 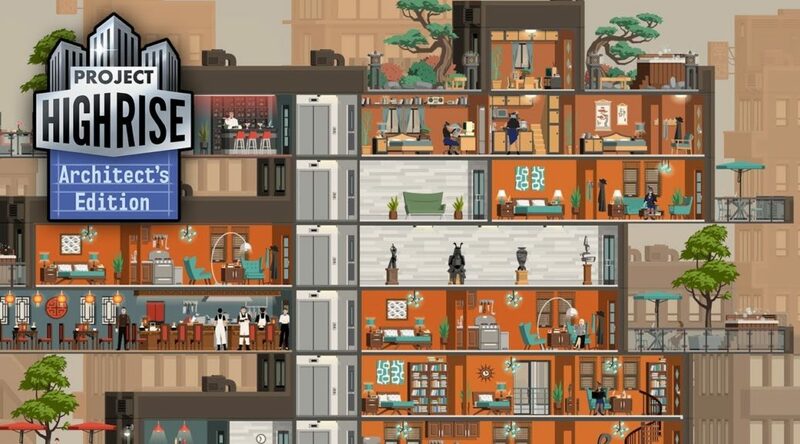 The Architect’s Edition is bringing popular tower sim Project Highrise to consoles. This fall you’ll be able to build, manage and develop world-famous skyscrapers on your PS4, Xbox One or Nintendo Switch! Your job as the architect and developer is to build world-famous skyscrapers that will be the envy of the entire city, masterpieces of art and engineering. But a skyscraper is more than just steel and glass, it’s an intricate ecosystem, full of people that live and work in the building. They become a complex machine that needs your steady hand to keep it running smoothly and efficiently. Experience a deep, complex simulation of a modern skyscraper. Create gleaming office highrises to attract business leaders from around the world. Construct urban apartments in the sky with penthouses for the rich and famous. Keep travelers and tourists happy in soaring hotel towers. From the moment you break ground, every decision rests with you. Explore open sandbox play with several difficulty levels to build your architect’s dream skyscraper or conquer campaign mode in 29 scenario challenges. The Project Highrise: Architect’s Edition contains the Project Highrise base game along with the Las Vegas DLC and content packs Miami Malls, Tokyo Towers, London Life and Brilliant Berlin.